Morocco qualified as Host. Replced by Equatorial Guinea. Second Qualification Round and First Qualification Round and Preliminary Qualification Round. First 2 and Best 3rd qualifiy to Finals CAN 2015. 1. South Africa 12 3 3 0 9: 3 13. 2. Congo 10 3 1 2 6: 6 30. 3. Nigeria 8 2 2 2 9: 7 1. 4. Sudan 3 1 0 5 3: 11 21. 1. Algeria 15 5 0 1 11: 4 8. 2. Mali 9 3 0 3 8: 6 6. 3. Malawi 7 2 1 3 5: 9 25. 4. Ethiopia 4 1 1 4 7: 12 16. 0-1 El Arabi Soudani 34'; 0-2 Yasine Brahimi 84' 1-2 Said Ahmed Saladin 90+5' pen. 1. Gabon 12 3 3 0 9: 4 17. 2. Burkina Faso 10 3 2 1 8: 4 5. 3. Angola 6 1 3 2 5: 5 9. 4. Lesotho 2 0 2 4 3: 12 40. 0-1 Djalma 29'pen. ; 1-1 Jonathan Pitroipa 45'pen. 1. Cameroon 14 4 2 0 9: 1 14. 2. Ivory Coast 10 3 1 2 13: 11 3. 3. Congo DR 9 3 0 3 10: 9 15. 4. Sierra Leone 1 0 1 5 3: 14 29. Sierra Leone played in Lubumbashi (COD) due to outbreak of Ebola virus! 1. Ghana 11 3 2 1 11: 7 2. 2. Guinea 10 3 1 2 10: 8 19. 3. Uganda 7 2 1 3 4: 5 26. 4. Togo 6 2 0 4 7: 12 11. Guinea played in Casablanca (MOR) due to outbreak of Ebola virus! 0-1 Tonny Mawejie 45'; 1-1 Andre Ayew 50' pen. 0-1 Idrissa Sylla 25'; 0-2 0-3 0-4 Seydouba Soumah 40' 59' 65'; 1-4 Emmanuel Adebayor 69'pen. 1-0 Abdul Majeed Waris 25'; 2-0 Wakaso Mubarak 28'; 2-1 Floyd Ayite 48'; 2-1 Emmanuel Agyemang. 1-0 Ibrahima Traore 23'; RC:Andy Mwesigwa (Uga) 59'; 2-0 Seydouba Soumah 61'pen. 1. Cabo Verde 12 4 0 2 9: 6 10. 2. Zambia 11 3 2 1 6: 2 4. 3. Mozambique 6 1 3 2 4: 4 27. 4. Niger 3 0 3 3 4: 11 18. 1-0 Rainford Kalaba 61'; 2-0 Emmanuel Mayuka 75'; 3-0 Kennedy Mweene 88'pen. 2. Tunisia 14 4 2 0 6: 2 7. 1. Senegal 13 4 1 1 8: 1 20. 3. Egypt 6 2 0 4 5: 6 12. 4. Botswana 1 0 1 5 1: 11 24. 0-1 Joel Mogorosi 44'; 1-1 Wahbi Khazri 75'; 2-1 Yassine Chikhaoui 90'pen. dates team 1 scores team 2 HT aggr. On August 17, Rwanda was disqualified for fielding the ineligible player Daddy Birori! 16:30+0 National Stadium, Freetown; 1-0 Khalifa Jabbie 55'; 2-0 Umaru Bangura 72' pen. 16:30+4 Stade Linite, Victoria ; Seychelles withdrew from 2nd leg, afraid of Ebola Virus! 15:00+0 Estadio Nacional 12 de Julho, Sao Tome ; 0-1 0-2 S. Sesegnon 82' 90' pen. Malawi won by Away Goals Rule (1-0). 16:30+0 National Stadium, Freetown; 0-1 Umaru Bangura 80' pen. 03.05.2014 Gambia suspended from all competitions for 2 years "for any delibetate intention to foul or cheat in any matter involving falsification of documents". Gambia fielded 5 players ineligible for the age criteria on 06.04.2014 against Liberia. 15:00+3 Stade Rabenajara, Mahajanga ; 1-0 Faneva Andriatsima 12'; 2-0 Charles Andriamahitsinoro 29'; 2-1 Hamis Kiiza 90'pen. Uganda won by Away Goals Rule (1-0). 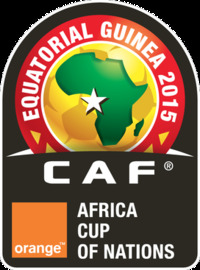 Equatorial Guinea was disqualified on July 3 for fielding the ineligible player Thierr Fidjeu. Eritrea withdrew from the competition on 30.03.2015.